Diversification in Macau – A Continuous Push Forward! HomeOnline Casino NewsDiversification in Macau – A Continuous Push Forward! Leong Vai Tac is Economy and Finance Secretary in Macau, and he announced that the city will continue to push forward towards diversification of offers in casinos that are located there. The officials are trying to encourage casino firms that are located in Macau to extend their offerings to non-gaming attractions, as they are currently focused only on games based on luck. Vai Tac stated in a report published in GGRAsia that Macau is currently too focused on games that attract only those who enjoy gambling, while other tourists do not find this former Portuguese enclave very interesting. By diversifying their offer, they would attract additional tourists, which would prove a lot better for Macau for several reasons. One of the pressing issues in Macau at the moment is that the income that casinos have is highly unstable since it mostly comes from high rollers. High rollers are usually players who have a lot of money and enjoy playing with huge bets. However, they are not very numerous and do not present stable income since all it takes is for several of them to change their mind and decide not to visit Macau in order to significantly impact the income. The way out of this is, according to Vai Tac, to offer attractions which are not exclusively connected to gambling, although Macau has gained a reputation for being a gambling city. Therefore, everything that is not related to games based on luck and can help attract other types of tourists is welcome to this city, and casino operators will be encouraged to include them in their offer. Another problem that Macau faces is that the income is centered towards the downtown area where all casinos are found, while other parts of Macau are not visited by tourists as often. 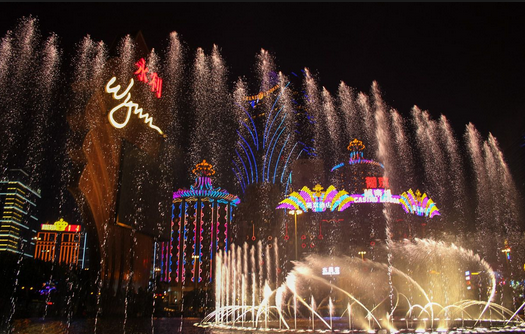 In order to even things out and attract tourists to other areas, Vai Tac suggested that Macau offers attractions which are not related to gambling and which would attract visitors to explore the city more, thus bringing more income. In other words, Macau has a huge potential to become one of the main tourist attractions in the area, but having a reputation of being a gambling-friendly city which focuses only on VIP guests will not give it a long-time opportunity to grow as they must grow out of being dependent on high rollers. What does the future look like for Macau? There is no doubt that this magnificent city will continue growing every year as long as they have people like Vai Tac who are ready to take action and to start changing things—even if some sacrifices are required along the way. If the city succeeds in breaking their dependence on VIP players, they will manage to attract a lot more tourists and become family-friendly. They are doing their best, and things are looking good at the moment. Casino Operators from the US Face Problems in Macau?